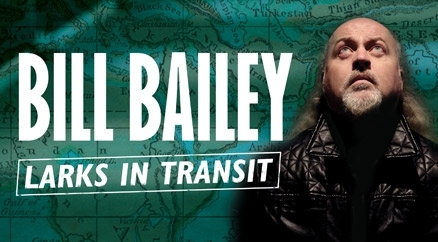 Bill Bailey is returning to New Zealand with a brand new show, 20 years after his debut visit. Larks in Transit is a collection of travellers' tales and stories from 20 years as a working comedian and includes ruminations on politics, happiness, ringtones and meeting Paul McCartney. The show will delight olds fans of Bill Bailey and newcomers alike. Tickets are $89.90.